The donation of the Hailstone collection is a magnificent gift to the Clarke Historical Museum. The basic collection consists of baskets Vivien put aside from those she was selling at I-Ye-Quee gift shop in Hoopa beginning in 1959 for about forty years. Then her son Albert, added other baskets to the collection. Thus this collection is mostly from the revival period and primarily consists of “made for the trade” or baskets made for sale. Vivien’s belief was that baskets were “art” not just craft. The trinket or fancy basket is at the heart of “made for the trade” baskets and are the most numerous in the collection. There are also some wonderful flour trays and other utility baskets made much earlier. 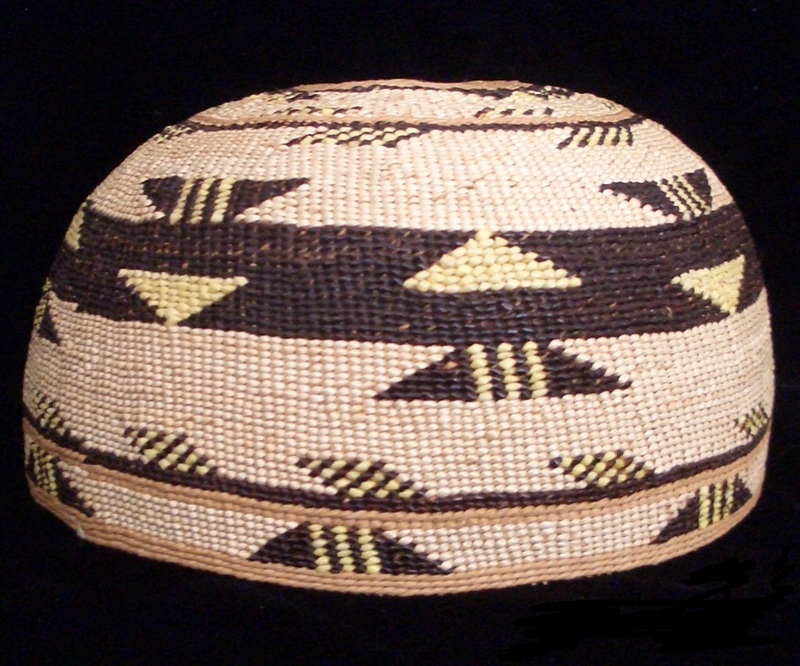 The Hailstone collection is mostly Yurok baskets, whereas the Hover collection is primarily Karuk baskets. Both collections have over two hundred baskets and perfectly complement each other in the Clarke Museum’s overall holdings. The Hover collection is mostly from the golden age of basketry beginning in the 1880s to the 1930s. The Hailstone collection is from the revival period beginning in the 1950s for about forty years. This collection has a large number of baskets by known weavers, which is rare in most museum collections. These include most of the greatest Yurok weavers: Amy Smoker, Ella Johnson, Lena McCovey, Queen James, Ada Charles, and other well known weavers. This was the period in which small trinket and tobacco baskets were favored and there are many beautiful examples in the collection. In addition there are Karuk baskets by the Davis sisters, Madeline and Grace. Perhaps the most finely woven baskets in the collection are two attributed to Louisa Hickox from the 1920s. These were added to the collection by Albert. Vivien herself was a talented weaver, teacher, and advocate for basketry. She specialized in medallions which are well represented in the collection. She was certainly among the most prolific creators of medallions. These became very popular, since they were mainly hung around the neck and hers were backed with buckskin. She may also have assembled and finished medallions by other weavers. There are so many beautiful baskets in this collection that viewers will undoubtedly be awed. The Clarke Historical Museum is honored to be the recipient of this great collection and all of us extend our warmest thanks to Albert Hailstone for his vision and generosity. 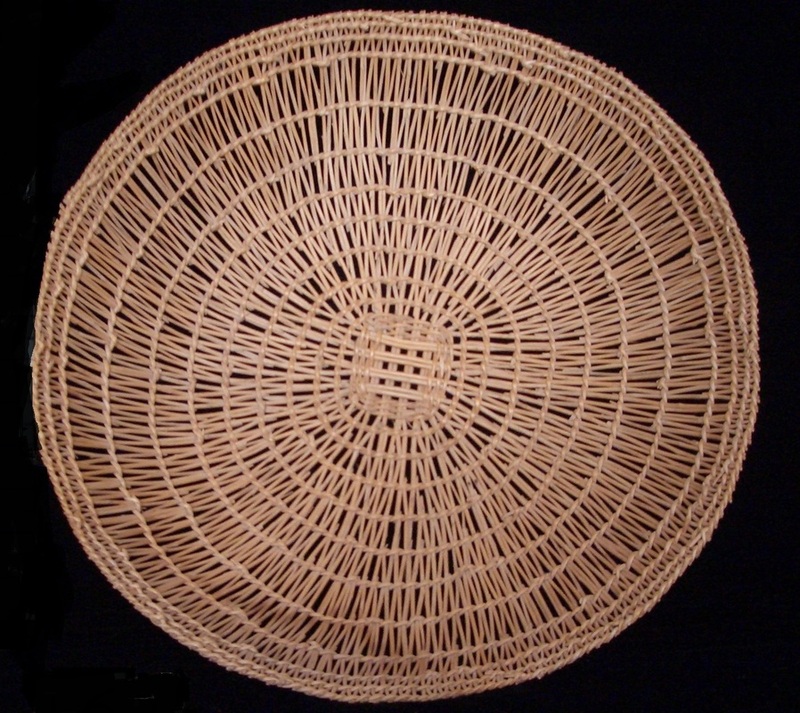 Vivien Hailstone was a basket weaver and a basket lover. Her mother and grandmother were basket makers—nothing unusual about that. Almost every woman (pre-contact times) wove back then. However, my mother, as well as other concerned people, realized by the mid part of the last century that basket weavers were becoming fewer and fewer. The attitude “it’s an old Indian relic” had put weaving into a category of “curiosities.” Another contributing factor was that gathering basket materials had become difficult, if not impossible, because of trespassing laws, chemical spraying, and the misunderstanding of the need to burn an area to produce better materials. As a result a small army of dedicated basket makers—my mother was very proud to be one of them—rose to the occasion. They became advocates, teachers, and preservers of the tradition. She became a teacher simply to pass on what she knew. How does one preserve a dying art? First Vivien and several ladies started a pottery guild in Hoopa as a way of preserving basket designs. It was successful but it wasn’t the real thing. Creating interest became important. Helping people understand how complicated it is to weave a basket was key in establishing weaving as a respected art form. Education was needed. If colleges and teaching institutes would recognize it as an art form then its value would be increased. She challenged institutions to allow basket weaving to be taught as a class and won. She had become a champion for the art she loved. Teaching weaving is more than twisting sticks and grasses together. It’s a philosophy—a way of observing seasons and understanding the Earth; it teaches you to plan ahead. Weaving begins as you gather your materials. That means when you weave a basket you actually started it last year. As my mother became active she found herself in a position to support and encourage Basket Artists. She and a friend created the I-Ye-Quee Trading Post/Gift Shop in Hoopa during the mid-fifties. It became popular outlet for basket makers. A few years later my mother bought her partner’s share of the business and continued as the sole owner another forty years. She often spoke of those years as her best years. “I got to be around so much art.” And she was; it let her be in a front-row position to observe basket weaving at its best, as well as to become familiar and then friends with the basket makers of our area. There was always a collection of baskets at our house which I learned to view as a rotating collection. She claimed she was just “visiting and enjoying them for a while,” her words. Eventually, they would be sold, but some of the baskets became permanent guests. As she became older she would send me a basket, or baskets, with the instructions/ announcement, “You better keep this one, or these, before I sell it.” I found myself in the enviable position collectors can only dream about. My appreciation of baskets is a direct result of my mother. But, as important as the art of basket making was to her, she also understood it was her history and her culture. She couldn’t, and never would, separate the one from the other. We had many discussions about preserving and sharing our culture; in particular, baskets. She agreed with me that donating them to an institution that would preserve them and have them accessible to basket weavers and scholars would be the best end result. I have continued to collect and, until she passed away, she continued to add to my collection—our collection. 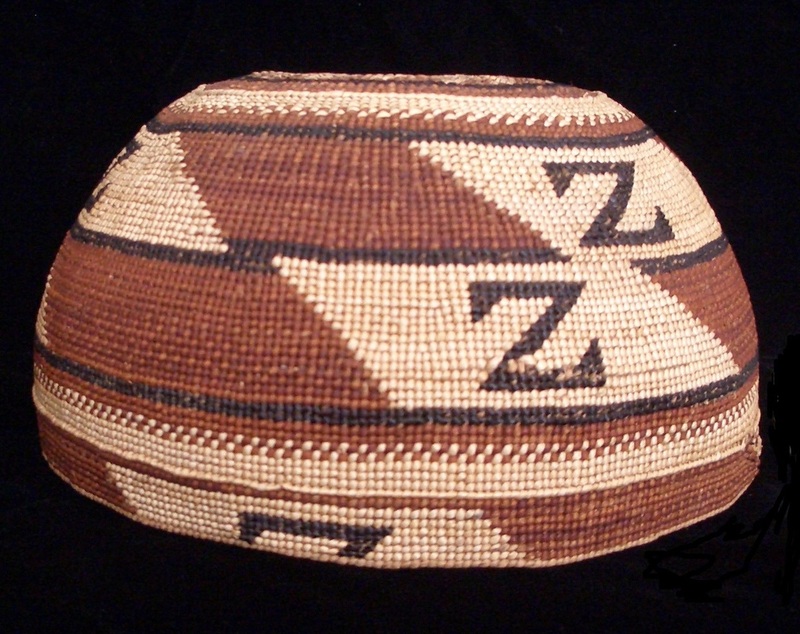 We—my mother and I—proudly invite you to enjoy what we love, Yurok, Karok, and Hupa basket makers at their best.